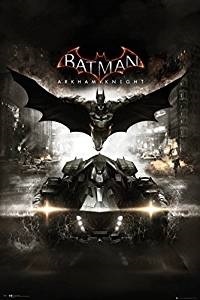 Few superheroes have generated as much of cult following as the Batman, spawning nearly a dozen motion pictures spanning over seven decades, as well as a cult T.V series in the sixties and featuring in over a dozen animated series. And just who is this masked vigilante, this caped crusader who has captured our attention so? 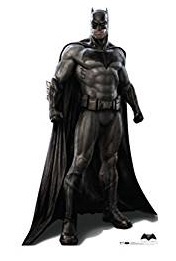 He is the Batman, enemy of evil doers everywhere(well actually mostly in Gotham City, and mostly at night) and he has a fearsome array of powers and abilities(well not actually but we’ll get to that in a minute). Despite his longevity owing to his debut in 1939 few superheroes have remained as consistent in their story and powers and abilities as Batman. Along with Superman, the Flash, Aquaman, Wonder Woman, the Green Lantern and the Martian Manhunter he is one of the founding members of the Justice League of America. He is also one half of the dynamic duo Batman and Robin. 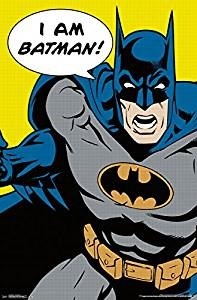 1 What Are Batman’s Powers? 3 Is batman A Superhero? Hmm.. well if you are reading this no doubt you are wondering right about now what are Batman’s powers? The point is, technically the answer is none. That’s right Batman has no superpowers at all, none. This has to be mistake we hear you ask? Nope, no mistake, Batman is just a normal guy(if a normal guy were to become totally and overwhelmingly obsessed with avenging the death of their parents by fighting evildoers at any personal cost up to and including potentially sacrificing his own life for the greater good), he doesn’t fly, he’s not bulletproof or super strong, he doesn’t heal at a fantastically accelerated rate, nope he’s just an average guy. But if you were to ask what abilities does Batman posses then the answer would be, lots. Firstly he is possessed of three defining attributes, number one is his genius level intellect, number two his indomitable willpower, and number three is that he is insanely rich and all his abilities stem from those three factors, they are also what coincidently make him one of the most fearsome opponents to his enemies and what makes him an invaluable resource to his allies. His body is his temple, since early adulthood Bruce Wayne has conditioned his body to be the ultimate combat tool, he has a mastery over numerous martial arts including Ninjitsu which allows him move about in stealth when needed, he is extremely agile and dexterous allowing him to perform amazing feats of acrobatics, he also has conditioned within himself a pain threshold far above what the average person could withstand. He has used his genius level intellect to design numerous gadgets to aid him in his quest to hunt down and fight villains, gadgets such as his utility belt, filled with all manner of items, such as a variety of batarangs(some remote controlled, computerized, magnetized or electrified for when a plain old batarang just won’t do the job) smoke pellets(to allowing him to distract his enemies and conceal his movements) tiny bomblets(when a quick entrance or exit is called for) grappling hook and line (when the only way is up or down) he also fashions various versions of his costumes in comic book and movie media, some he designs to be heavily armored and strong but slow and cumbersome(perfect for when you have to fight a demi god, like say Superman) other costumes are lightly armored and designed for rapid movement and in some cases flight(all right technically it’s gliding but you get the point), the other thing Batman has used his genius for is to build state of the art computer equipment and a state of the art crime lab(which he built in a dark, damp cave filled with bats, cause that’s what you do, right) this is why he is often billed as the world’s greatest detective, because although he is well known for fighting crime(brutally but always non lethally) he also has foiled some deadly plots and hunted down some very bad people using state of the art law enforcement techniques. As we stated earlier there is no need to ask how did batman get his powers? Because he has no powers, but that is not to say there was no defining moment in the life of Bruce Wayne that didn’t cause the creation of the Batman. The moment when Batman was truly born was years before the idea had even found purchase in Bruce Wayne’s consciousness, that moment was when Bruce and his parents Thomas and Martha Wayne were leaving a movie theatre late at night only to accosted by petty criminal Joe Chill, in the course of the mugging both Thomas and Martha Wayne would be gunned down and killed before eyes of 8 year old Bruce Wayne. And a superhero was born(well a technically borderline psychopath who takes the law into his own hands on a semi regular basis and deals what could only be considered assaults in a court of law on more than a semi regular basis, but a hero none the less). But what really impresses us at Superheroes Central is the fact that 99.999999999% of 8 year olds would have grown up and probably dealt with their early childhood trauma in a completely different way, like say drugs or maybe the would have sought therapy(he is extremely rich after all) and just got over it. But not Bruce Wayne, nope Bruce decided that he will spend his formative and teenage years training his body to become the ultimate combatant, shun all personal relationships that would distract him from his mission(of beating bad guys to a pulp) he would use his murdered parents vast wealth and resources to arm and equip himself(a very unhealthy pursuit of which they probably would have disapproved of) and risk his very life on a nightly basis fighting crime(it seems kinda rash). Nope Bruce defied the odds and became the Batman, and the people of Gotham thank him(not so much the police who periodically try and incarcerate him) but Batman truly deserves his reputation as one of Earth’s greatest heroes. So is Batman a superhero at all? That is question that everyone has to answer on their own. Despite a clear lack of superhuman powers and abilities at Superheroes Central we definitely say yes, he is one the best superheroes in the DC Universe, after all many other superheroes have taken down the Hulk one on one? But help you make up your mind we found this great You Tube clip. You be the judge, enjoy. For a more detailed look at Batman’s original story go to this page.